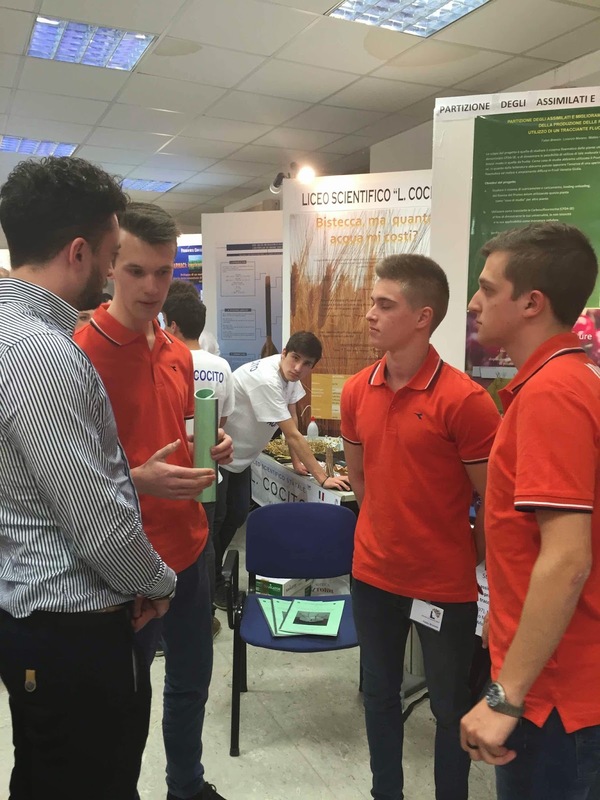 LIYSF are delighted to visit the 27th FAST (Federazione delle associazioni scientifiche e techniche) Science Festival in Milan this year. FAST showcased participants from all around Italy, as well as Brazil, Mexico, Belgium and the Netherlands. We spoke to a few participants about their projects, and we were impressed at their commitment to scientific research and communicating their results to other people. Bronzin Fabio, Marano Lorenzo and Cividino Matteo from ISIS. 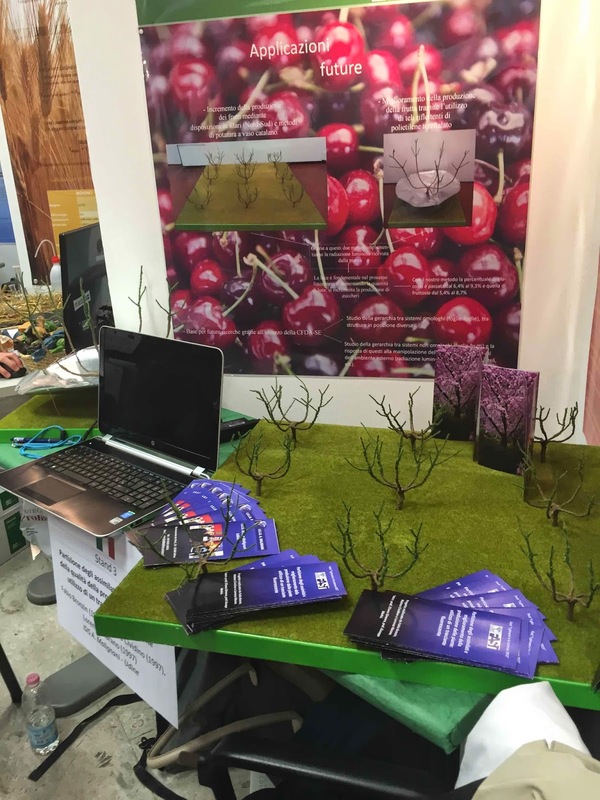 A. Malignani Udine, a school in North East Italy spent three years researching the transportation of sugars around cherry trees, a topic which has received very little research in recent years. The team were investigating the transportation of sugars around a cherry tree (Prunus avium). More specifically, they were trying to determine whether the method of transportation was through the apoplastic or the symplastic pathway. They tested using luminescence and a chemical called CFDA-SE, which can determine whether the transportation pathways are apoplastic or symplastic. Having tested in the leaf, pedicule, fruits and roots of the plants, the team found that the apoplastic transportation pathway was the main form in all parts of the plant. Such studies are important for conservation and huge contributions to cell biology. 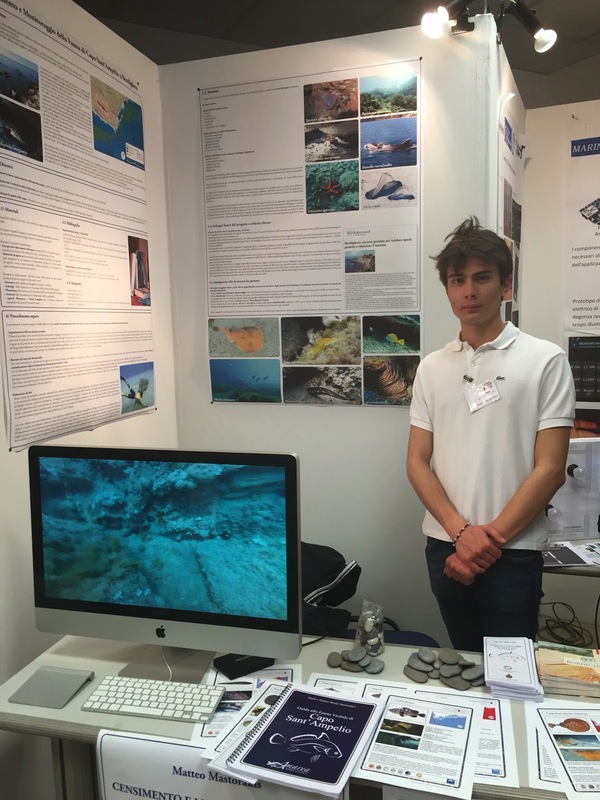 Later on, we spoke to Matteo Mastorakis from the High school of Ventimiglia in Bordighera. He has used underwater film equipment to film fauna and flora in the coral reefs near his village, and identified and recorded over 60 species, 6 of which were critically endangered. One of these endangered species was the Sea bass, Cernia bruna. The species are endangered because they are overfished for human consumption, and take several years to reach sexual maturity. He will be using his videos to engage with young people in schools and colleges about the importance of biodiversity and conservation. Watch his scuba diving video here! The winners of FAST will be attending this year’s London International Youth Science Forum this summer, which is on the 22nd July – 5th August 2015.